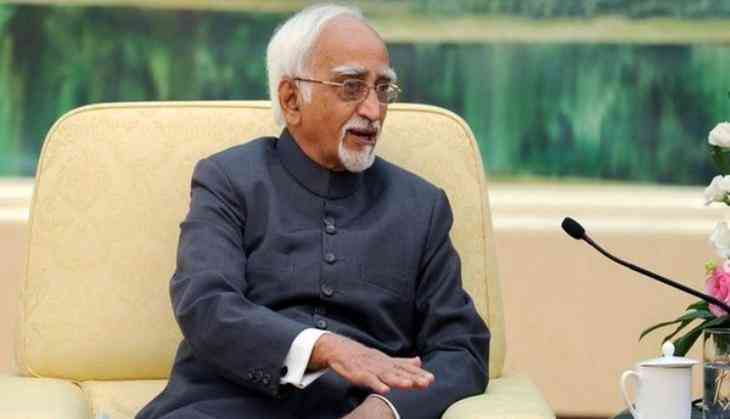 Outgoing vice-president Hamid Ansari, in his last interview before demitting the office, has said that the Muslims in the country were experiencing a "feeling of unease." Ansari, whose second five-year term as the vice-president ends today, made these remarks in the wake of incidents of "intolerance" and cow vigilantism. "A sense of insecurity is creeping in as a result of the dominant mood created by some and the resultant intolerance and vigilantism," Ansari said, in an interview with Rajya Sabha TV. Ansari referred to incidents of lynching and alleged killings as a "breakdown of Indian values, breakdown of the ability of the authorities at different levels in different places to be able to enforce what should be normal law enforcing work and over all the very fact that Indianness of any citizen being questioned is a disturbing thought." When asked why he thought Indian values were breaking down, Ansari answered, "Because we are a plural society that for centuries, not for 70 years, has lived in a certain ambience of acceptance." "I am an Indian and that is it," he said. Asked if he shared his concerns with the prime minister, Ansari said that he had. "What passes between the Vice-President and the Prime Minister in the nature of things must remain in the domain of privileged conversation," he said. Ansari further said triple talaq is a social aberration, not a religious requirement. He said the courts do not have to step in as the reform has to come from within the community. To a poser on the situation in Jammu and Kashmir, Ansari said, "the problem has always primarily been a political problem. And it has to be addressed politically." He said that he has also flagged the issue with other union ministers. Earlier, at an event in Bengaluru on Sunday, Ansari had said that the "version of nationalism" that places cultural commitments at its core "promotes intolerance" and arrogant patriotism.